Stroke in pregnant women has a mortality rate of 1.4 deaths per 100,000 deliveries. Vascular malformations are the most common cause of hemorrhagic stroke in this population; preeclampsia and other risk factors have been identified. However, nearly a quarter of strokes have an undeterminable cause. Spontaneous intracranial hemorrhage (ICH) is less frequent but results in significant morbidity. 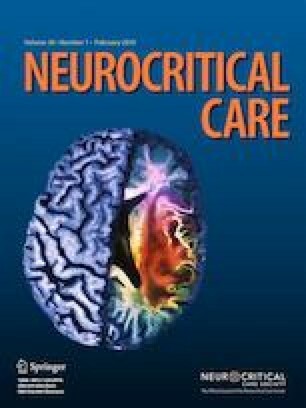 The main objective of this study is to review the literature on pregnant patients who had a spontaneous ICH. A systematic review of the literature was conducted on PubMed and the Cochrane library from January 1992 to September 2016 following the PRISMA guidelines. Studies reporting pregnant patients with spontaneous intraparenchymal hemorrhage (IPH), subarachnoid hemorrhage (SAH), and subdural hemorrhage (SDH) were selected and included if patients had non-structural ICH during pregnancy or up to 6 weeks postpartum confirmed by imaging. Twenty studies were included, and 43 patients identified. Twenty-two patients (51.3%) presented with IPH, 15 patients (34.8%) with SAH, and five patients (11.6%) with SDH. The most common neurosurgical management was clinical in 76.7% of patients, and cesarean section was the most common obstetrical management in 28% of patients. The most common maternal outcome was death (48.8%), and fetal outcomes were evenly distributed among term delivery, preterm delivery, and fetal or neonatal death. Spontaneous ICH carries a high maternal mortality with IPH being the most common type, most frequently presenting in the third trimester. Diagnosis and management do not differ for the parturient compared to the non-pregnant woman. The online version of this article ( https://doi.org/10.1007/s12028-018-0501-4) contains supplementary material, which is available to authorized users.